Have you ever had to risk those precious gems: image, reputation, status, career ~~ in order to restore a Sister that was broken? I’m sure many of us have been there ~~ risking whatever was in front of us for the sake of One Girlfriend who desperately needed us in her time of pain. Being transparent and authentically raw ~~ revealing our own insecurities but looking towards the bigger gain: restoration of a broken spirit. The ‘goal’ should always be to be well used of GOD. 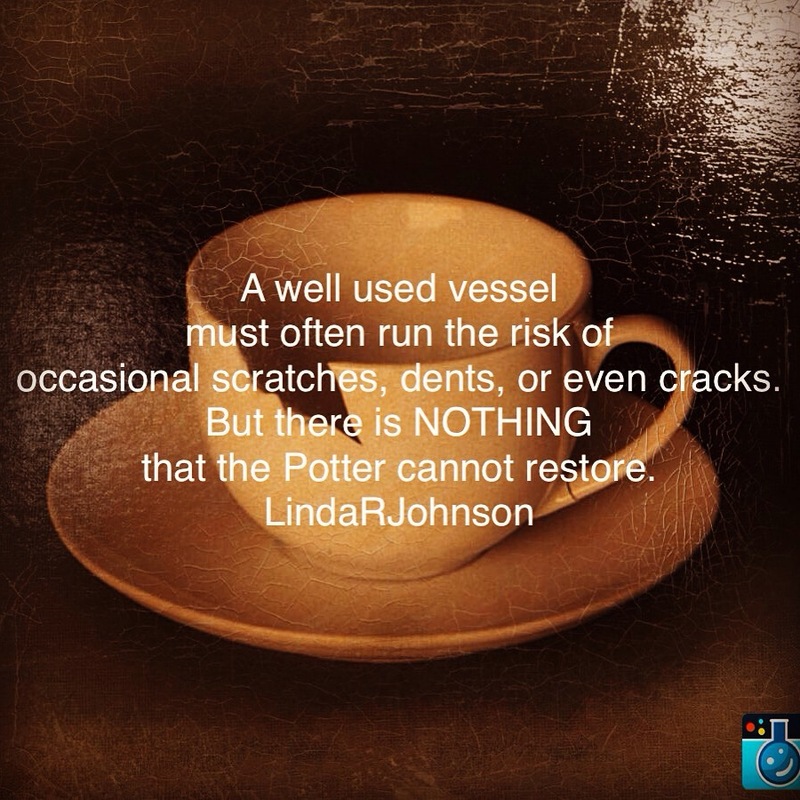 We should strive to be that vessel He picks up for Purpose and to not worry about potential dings or dents (even an occasional crack or scratch) ~~ for such are the marks born by those who have submitted their lives to Christ.